Designer brands are one of the focusing areas of Luxe.Co in the fashion section. “Luxe.Co Chinese Designer Monthly Report” monitors closely and regularly the commercial development of designer brands. Through interviews and research reports, Luxe.Co records designers’ growing path and shares with industry professionals and readers. “Luxe.Co Global Fashion Innovation and Investment Forum (华丽志全球时尚创新与投资论坛)” invited three founders and managers of independent designer brands to share with us their development path and the challenges and opportunities they are facing. 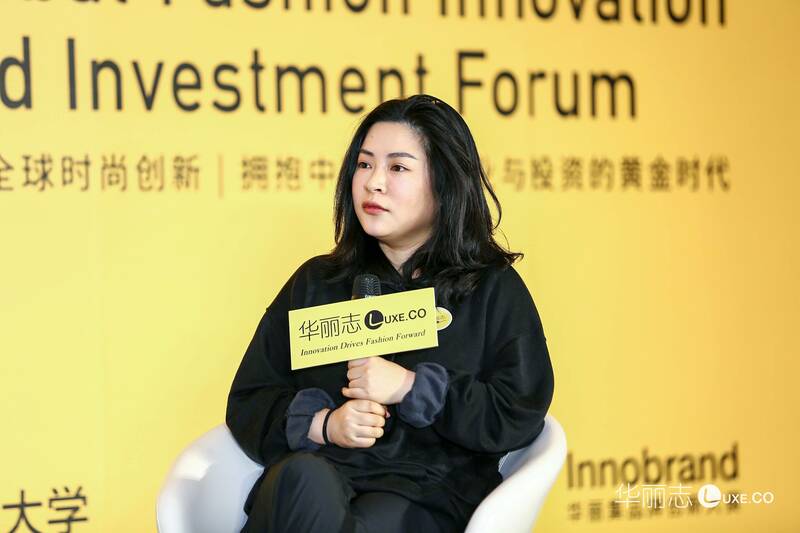 At the roundtable discussion “Development Path of China Designer Brands” at Luxe.Co Global Fashion Innovation and Investment Forum (LGFIIF), Xiaojun Zhuang, the Co-Founder of IMMI (庄晓君， IMMI 品牌联合创始人) shared her opinion. Luxe.Co also invited other outstanding entrepreneurs for this roundtable, and Xinglong Lv, Partner of YE’SbyYESIR (吕星龙，YE’SbyYESIR 品牌合伙人) and Zi Yang, Founder of ANNAKIKI (杨子，ANNAKIKI 品牌创始人). Xiaojun Zhuang is the co-founder and designer of IMMI. She has a design background and has worked in brand management and buyer for many years, in which she gained sharp sense for fashion and rich experience in brand management. Applying her industry experience in the operation and design of IMMI, Ms. Zhuang brings a unique style and attitude to IMMI. Elisa Wang: All of your designer brands have your own specialties. Could you share with us your current development? What are the challenges? Xiaojun Zhuang: Most customers get to know IMMI because the celebrity Yuanyuan Gao wore our clothing. We are very grateful to her. Celebrity resources and their snapshots helped us a lot in branding and income. As a designer brand, the income helped us survive. I am very grateful. Celebrity marketing is still indispensable in the future. But marketing through soft brand implanting and visual presentation is more important. Starting from this year, we will invest more in visual and copywriting parts, to better convey the full meaning of the brand. Elisa Wang: As designer brands, what do you need the most at current stage? Xiaojun Zhuang: Undoubtedly, we need people and team. The team is supported by finance. Only when you have enough financial strengths, you can hire better teams and upgrade teams. For example, if we are a foreign brand, we only need to have an official website, open a boutique shop, display collection at showrooms, and strengthen the design team and the supply chain team. However in current China, building brands need comprehensive talents. In media channels alone, China has WeChat and Weibo. You need a self-media team with strong editorial capability. If the brand needs to develop overseas, Instagram is a must, which requires a team with a strong sense of aesthetics. Each media channel has their own feature and operation method. Therefore we need more comprehensive talents than foreign brands. Elisa Wang: As founders, you are in the process of communicating with factories, designers, marketing teams and so on everyday. Where do you see or expect more innovation, in order to help improve your overall efficiency? Xiaojun Zhuang: I have seen a lot of innovation. Fabric innovation is the core for us. When we order fabrics in the past, the production lead time was usually 3 months. For foreign fabrics, it would be even longer. Now more and more fabric suppliers have fabrics in stock. This change is an accelerator for designer brands and fast fashion brands. We do not need to spend too long in production and can react to market response quickly. The management of multi-brand shops needs more innovation. There will be more channels for multi-brand shops in the future. But they are not professional enough yet, in terms of management, POS, and planning. If there is a complete system helping stores receive, send, distribute, replenish products, the operation will be much smoother. As far as I know, some showrooms are developing similar systems. Elisa Wang: We noticed since last year that there have been many commercial brands seeking collaboration with designer brands. What is your view on this? Which types of commercial brands are you interested to collaborate with? Xiaojun Zhuang: We welcome commercial brands for collaboration. But they should meet one of the two prerequisites. First, they need to be a completely differentiated brand. The differentiation means that we can achieve a win-win or complementary result. For example, we are short in supply chain and they are strong in this area. We are very happy to collaborate with them. Second, they need to be a complementary brand in terms of DNA. For example, we are in favor of sustainable development. If the other party is a fur brand, we will not collaborate with them. On the contrary, if it is an eco-friendly brand or charity brand, we are very happy to cooperate with them. 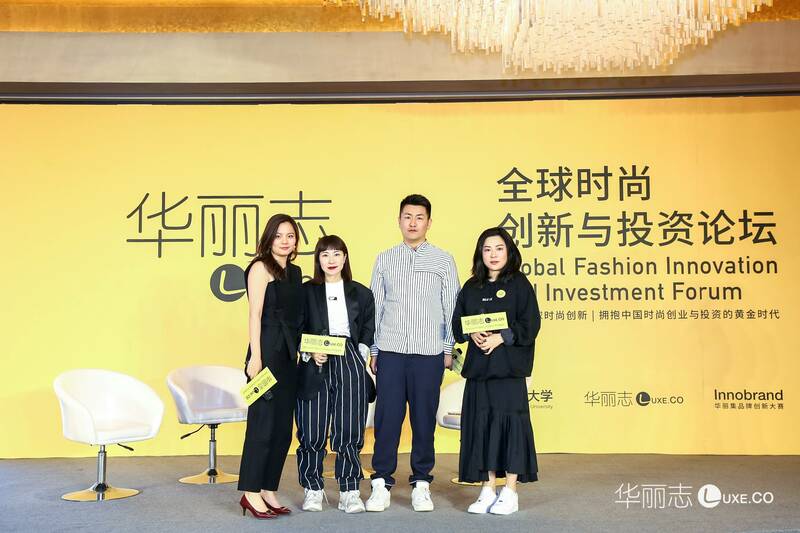 In the photo above from the left to right, Elisa Wang (Head of Fashion at Luxe.Co), Zi Yang (Founder of ANNAKIKI), Xinglong Lv, Partner of YE’SbyYESIR and Xiaojun Zhuang (Co-Founder of IMMI) presented and shared their thoughts with the audience of the forum. NEXT POST Next post: China Fashion and Lifestyle Investment News: smart gym, catering brand, and Prize Claw machine operation company.